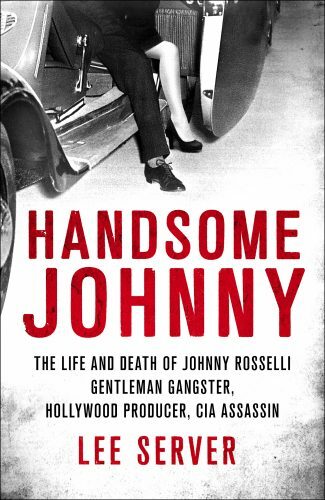 Handsome Johnny from New York Times bestselling author Lee Server is a look at the life of the legendary mobster Johnny Rosselli who was at the center of the century’s darkest secrets: an untold story of golden age Hollywood, modern Las Vegas, JFK-era scandal and international intrigue. Johnny Rosselli is a singular figure in the annals of the American underworld. 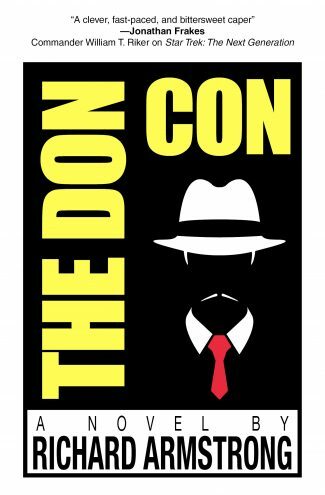 His criminal career spanned more than fifty years, from the bloody years of bootlegging in the Roaring Twenties—the last protégé of Al Capone—to the modern era of organized crime as a dominant corporate power. Al Capone spent the first months of 1928 in the sunshine state of Florida. Chicago had become too violent even for Scarface. That was the winter of the Pineapple [hand grenade] Primary, when politicking became synonymous with gunfights, kidnap- pings, and bombings. Mayor Thompson’s machine battled its slightly less corrupt competitors for victory in the next election. Popular public figures were shot dead in the street. Bombs were thrown. Blood spilled all the way to the voting booths. It was the biggest perversion of democracy in the city’s—and perhaps the country’s—history. The authorities were dying to tie Capone to the murder and mayhem. All said it was a good time to stay where he was and enjoy Florida’s balmy weather and the regal comforts of a just-purchased Palm Island villa on Biscayne Bay. 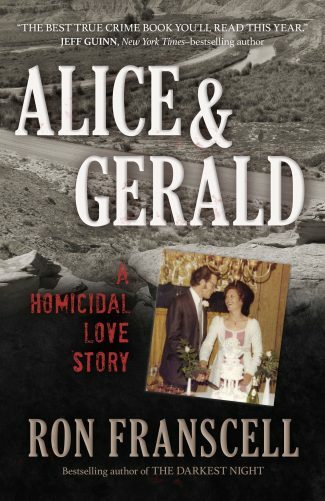 There was still a multimillion-dollar business to run, bootlegging, rackets, unions, vice dens; enemies and upstarts to be killed, politicians to blackmail or bribe. Every week that winter the lieutenants shuttled back and forth from Chicago, meeting and strategizing with the boss at his winter palace, returning with new orders to implement. It had worked out very well. Everything went on as if the big fellow was still at home except that lawmen back home couldn’t harass him, and he could do everything in his bathing suit in a chaise longue beside the swimming pool. It was proof, that sojourn in Miami, that if you could run Chicago from a thousand miles away, you could run some other far-off place as well. Caesar and Napoleon—two fellow paisani he had come to admire—ruled whole continents. Why couldn’t Al Capone do the same? He was a great believer in manifest destiny, or any other gimmick that could boost his share. In truth the idea had come from Capone’s mentor Johnny Torrio: one vast underworld that would reach across from sea to sea, with everyone answering to a single authority. But Torrio had gotten shot up, barely survived, and that was enough, he retired to Italy. 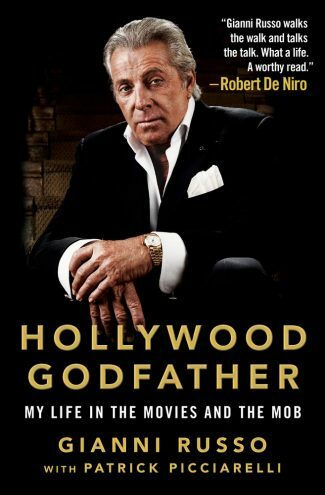 With all respects to his good friend, Capone considered himself to be of stronger stuff. Torrio had big ideas, but Capone was the one could make them happen. The problem for an aspiring Mob emperor in the United States was how much of the country was already claimed by other mobs. The moneymaking centers of the East and Midwest were all sewed up. There was the Purple Gang in Detroit, the Porellos and the Jews of the Syndicate in Cleveland, “Silver Dollar Sam” Carolla and his Black Handers in New Orleans, Maranzano and Masseria, the battling “Mustache Petes” of New York. All with their own dreams and their own armies and their own tommy guns. Even Napoleon would have had a hard time moving in on some of those guys. And without a lot of territory to call your own, you weren’t much of an emperor. Johnny went to Chicago. Summoned to the gangsters’ Holy See. The city of corruption and vice. Dirty cops and dirtier politicians. Everywhere speakeasies, whorehouses, gambling joints. There was hardly a straight business left. Big Al was in residence, three floors of the Lexington Hotel on South Michigan, a suite for himself, as- sorted rooms for bodyguards, a valet, a personal chef, and his latest mistress (a lovely Greek girl who would infect him with the syphilis that later destroyed his brain). The big man welcomed Johnny. He took him out on the town. And there was no town like Capone’s Chicago. The nights were the brightest. The best booze, the hot- test jazz, the funniest comics, the showgirls all corn-fed Midwest beauties, the six-inch-thick steaks straight from the slaughter. He introduced him to the boys (Johnny already knew them all by reputation: Nitti, McGurn, Campagna, Ricca and the rest). They gathered around, talking and joking, smoking fat cigars and pouring for themselves from bottles of Templeton and Canadian Club. Capone sat squinting and smiling, studying his potential new recruit. It didn’t take much convincing. He trusted his instincts about people. No one had a better eye for criminal talent. His gang of all-stars, from enforcers to accountants to political corruptors, was unparalleled in underworld history. To even be considered for a place in the organization was to have received a great benediction. When the time was right they got down to business. Would Johnny be interested in doing a little work for him out West? A small thing for now. (Some other time for the bigger picture.) He had some investments in Los Angeles, Capone told him. Nothing big. Maybe they would pay off one day. He had an associate there. A business partner of a sort. A Sicilian. Good man, trustworthy. Maybe a little set in his ways. Old-fashioned. Capone was looking to improve communications. To keep this man on his toes. He needed to send this man a go-between. He could send somebody from Chicago, of course, but Capone thought it would be a good idea to have a local boy who knew the territory and would not draw attention from the cops. Someone with a head on his shoulders. And Johnny said he was happy to do what he could. And the big man was pleased to hear it and filled their glasses with more Iowa rye. Something like that. The details told only in fragments of recollection scattered through the years to come. Copyright © 2018 Lee Server.